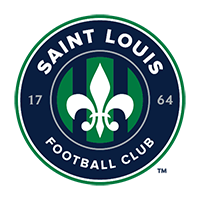 Eastern Conference action saw Saint Louis FC and the Tampa Bay Rowdies remain at the top of the standings following a 1-1 draw while Louisville was the only side in the conference to claim a victory, beating Hartford Athletic at Slugger Field. Out west, nine goals in two games saw the Monarchs defeat Galaxy II by five and Tulsa knock off Tacoma Defiance by four before Colorado Springs Switchbacks FC became the third team to win thanks to a late goal from new signing Cesar Romero. 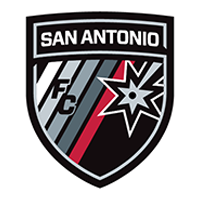 Late equalizers earned Rio Grande Valley FC and Orange County SC a point against El Paso Locomotive FC and New Mexico United, and Timbers 2 toppled Lights FC while Fresno and Reno played to a one-all draw. FRESNO, Calif. – A familiar result followed as Fresno and Reno faced off at Chukchansi Park where they drew one apiece for the third consecutive meeting. 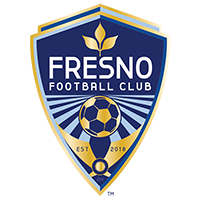 In front of a boisterous home crowd, Fresno struck first in the 31st minute when defender Zach Ellis-Hayden beat a ball to the endline and crossed in a low, driven effort that sliced off Reno defender Thomas Janjigian and into the net. Reno fought back just 11 minutes later with Reno midfielder Raul Mendiola’s effort getting some assistance from Fresno defender Ramon Martin Del Campo’s right boot on the way past goalkeeper C.J. Cochran. 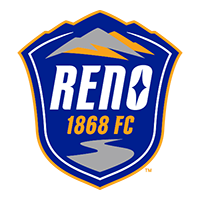 The closest either side came to finding a second goal came in the 84th minute, when Reno’s Seth Casipie struck sweetly towards the upper middle section of the goal, but Cochran was there to collect and the points were split. Raul Mendiola, Reno 1868 FC – Mendiola was influential throughout, scoring a goal, creating two chances, and completing over 77 percent of his passing including over 70 percent in the opposition half. 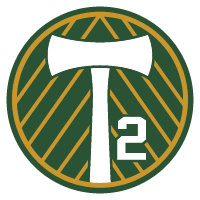 PORTLAND, Ore. – Portland Timbers 2 earned their second straight win after toppling Las Vegas Lights FC in their home opener at Merlo Field. The hosts found their first after a long ball over the top sprung midfielder Dairon Asprilla, who did well to square a ball for forward Foster Langsdorf to knock a finish past Lights FC goalkeeper Thomas Olsen. Things went from bad to worse for the visitors when Gabriel Robinson was judged to have fouled Langsdorf in the box, resulting in a penalty that Asprilla finished down the middle. A potential lifeline for Lights FC came in the 70th minute when Robinson headed in a set-piece delivery from Christian Hernandez, but a spectacular bicycle kick by Asprilla just four minutes later slammed the door on any potential comeback. 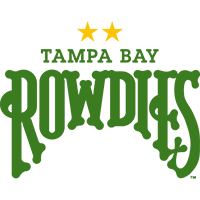 Dairon Asprilla, Portland Timbers 2 – Asprilla assisted on the first goal then scored the second and third himself while also completing over 81 percent of his passes. Irvine, Calif. – Orange County SC joined Rio Grande Valley FC in finding a late equalizer with a stoppage-time header earning the hosts a point. 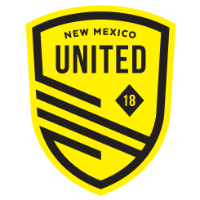 New Mexico United were the first to score, finding a goal after 14 minutes when defender Manny Padilla picked out midfielder Santi Moar for his fourth goal this season. Just under 20 minutes later, NMU forward Kevaughn Frater pounced on a short back pass and walked in a goal to double his side's lead. OCSC pulled one back just before the hour-mark when Harry Forrester sent a ball to the back post and Giovanni Ramos Godoy headed across for Darwin Jones to tap in. Orange County SC continued to test NMU goalkeeper Cody Mizell and eventually got through again, earning a stoppage-time equalizer. New signing Liam Trotter crossed in a recycled ball off a free kick and OCSC captain Leonardo nodded in from close range after 92 minutes to pull his team level with little time to spare. Harry Forrester, Orange County SC – Forrester did not score or register an assist but he did create three chances and seemed to be at the center of the attack. The former Rangers man also chipped in four tackles and two interceptions on the defensive side. 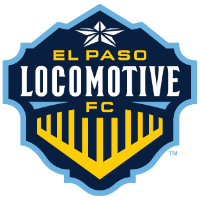 EL PASO, Texas – El Paso Locomotive FC and Rio Grande Valley FC fought to a draw in a game that will feel more like a loss for the hosts given the timing of the opposition’s goals. The first half ended well for Locomotive FC with midfielder Nick Ross firing low past RGVFC goalkeeper Tyler Deric to give his side an advantage. El Paso then went on to add a second in the 78th minute when forward Derek Gebhard turned in an effort from Ross that crossed into his path. Answering immediately, RGVFC midfielder Romilio Hernández produced a goal of the season contender when pulling one back with a strike from distance for the team's first goal of the season. 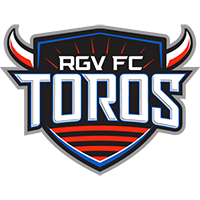 Approaching stoppage time, RGVFC then found a second breakthrough from midfielder Jesus Enriquez, who headed in an Isidro Martinez free kick to earn a smash-and-grab draw. Nick Ross, El Paso Locomotive FC – Ross scored the opening goal and assisted on the second while creating an additional chance and completing just over 94 percent of his passes. COLORADO SPRINGS, Colo. – Colorado Springs Switchbacks FC stunned San Antonio FC with a late winner to earn their second victory of the season and the first at home. 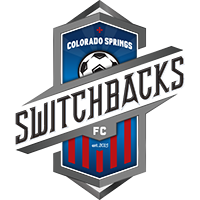 The first half did not yield much for either side but Switchbacks FC forward Saeed Robinson came closest to opening the scoring in the 41st minute with a dipping effort that rifled off the crossbar and back into play. As time stretched on, the second half became about finding the one necessary goal and the introduction of recent Switchbacks FC signing Cesar Romero was the difference maker. Entering the game in the 82nd minute, Romero only needed four minutes to get on the scoresheet when he bent a powerful effort from well outside the penalty area to put Switchbacks FC in front for good. Jordan Schweitzer, Colorado Springs Switchbacks FC – Schweitzer completed an impressive 88 percent of his passes, including over 79 percent in the opposition half and recorded the assist on Romero’s strike from distance. 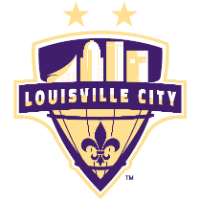 LOUISVILLE, Ky. – Louisville City FC defeated a pesky Hartford Athletic side in front of over 8,000 in the defending champions’ home opener at Slugger Field. The early momentum favored the hosts but it was the Athletic who scored after just six minutes. Advancing up the left side of the field, Hartford’s José Angulo whipped in a curling ball to the back post where forward Jonathan Brown was waiting to beat goalkeeper Ben Lundt. Finding their feet quickly, though, City responded with a goal of their own in the 14th minute to tie things at one apiece. 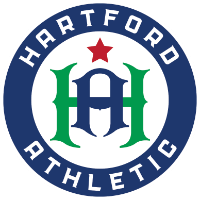 Scoring his first goal since the winner in the 2018 USL Cup, Luke Spencer lashed a half-volley with his left foot to beat Hartford netminder Ben Lissek at the far post. City’s second goal came 20 minutes later when midfielder Brian Ownby drove towards goal and tried to roll one into the far post, instead crossing the path of Hartford defender Sam de Wit, who could do little about the effort hitting his shin and finding the back of the net. The visitors tested Lundt a few times in the second half but would not find a second goal as LouCity picked up their second win of the season. Magnus Rasmussen, Louisville City FC – Rasmussen recorded the assist on Spencer’s goal and created four chances on the night. The Dane also completed over 83 percent of his passes and won two aerial duels. 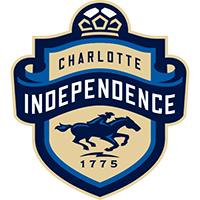 MATTHEWS, N.C. – A six-goal thriller between the Charlotte Independence and Atlanta United 2 featured two stoppage time goals in a 3-3 draw. Striking quickly, ATL UTD 2 forward Romario Williams rolled in a pass from Jon Gallagher after 37 seconds following a quick counterattack to take the lead. Williams then doubled his tally in impressive fashion with a quick swivel and low, angled shot to beat Brandon Miller in goal after 42 minutes. It took until the 75th minute but Charlotte played its way back into the match thanks to a goal from Dominic Oduro, who hit home first time after a square pass by Enzo Martinez. With a little more gas in their tank, Charlotte then equalized on a header by Kevan George from close range in the 85th minute. As the game reached its dying moments, Jorge Herrera scored what Charlotte thought would be the winner in the 93rd minute only for Williams to get his hat trick one minute later and earn the draw. Romario Williams, ATL UTD 2 – Williams scored in the beginning, middle, and end of the game and was efficient in his performance, finding the back of the net on all three efforts on target. KANSAS CITY, Mo. 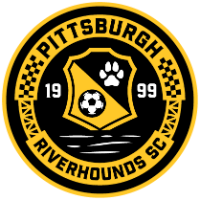 – Pittsburgh Riverhounds SC secured their first point of the season in a 2-2 draw away from home against the Swope Park Rangers. Despite a back-and-forth encounter that saw chances for both sides in the first half, neither side was able to break the deadlock until the 71st minute. Awarded a set-piece on the far side of the field, captain Kenardo Forbes swung in a cross dead center of the penalty area where defender Tobi Adewole met it and saw it over the line to give his side an advantage. Not despondent, Sporting KC fashioned two goals in five minutes to take the lead. In the 83rd minute, defender Rodney Wallace was quick to fire home after rebounded shot in front of goal, lashing in a first-time effort to beat Riverhounds SC goalkeeper Ben Lundgaard. Killian Colombie and Kelyn Rowe then combined in the 88th minute, with the latter sweeping home a ball across goal in off the right post. The situation changed for Pittsburgh when, entering stoppage time, Rangers defender Mohammad Abualnadi was sent off for dragging down Riverhounds SC forward Christian Volesky in front of goal. In the first of two minutes added on, substitute forward Anthony Velarde stepped up and confidently fired past Rangers goalkeeper Adrian Zendejas to salvage a point. 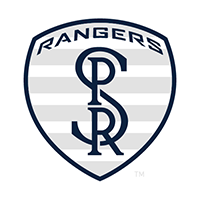 Kelyn Rowe, Swope Park Rangers – Rowe completed just over 75 percent of his passes and created three chances on top of scoring what would have been a game-winning goal for his side. 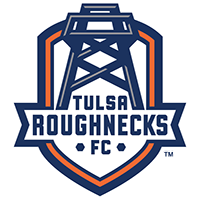 TULSA, Okla. – Tulsa Roughnecks FC continued their high-flying start thanks to a 4-0 win over Tacoma Defiance that featured a three-goal first half for Michael Nsien’s men. It took just eight minutes for Tulsa to find their first as captain Cyprian Hedrick scored from close range, assisted by Rodrigo da Costa. Minutes later, forward Cristhian Altamirano latched onto a pass from defender Luca Lobo and beautifully lifted a ball over Defiance goalkeeper Sam Fowler, adding to the visitors’ troubles. With the first half winding down, Lobo turned from provider to goalscorer, heading home another Rodrigo da Costa pass for his fourth goal in as many games. Seemingly magnetically connected to the ball, Lobo proceeded to score his second of the night, and fifth of the season, just before the hour-mark to seal the result. Luca Lobo, Tulsa Roughnecks FC – Lobo scored twice and also tallied an assist while recording five clearances and four interceptions for the team’s first clean sheet. 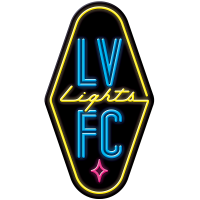 HERRIMAN, Utah – Real Monarchs SLC poured five goals past LA Galaxy II for their first win of the season. Midfielder Ricardo Avila opened the scoring with his left foot in the 25th minute, giving his team a lead they would carry into the break. In the second half, the gates opened for the Monarchs attack with midfielder Maikel Chang adding to the lead off a left-footed attempt into the top left corner. Following a challenge and 70th-minute red card for Galaxy II’s Diedie Traore, Chang bagged his second of the game placing his free kick just over the wall and into the side netting for the game’s third goal. Not stopping there, the hosts' Lionel Abate Etoundi added a fourth goal in the 79th minute off an assist by Chang before Steve Jasso followed just seven minutes later for the fifth goal of the evening. Real Monarchs SLC remain unbeaten with a win and two draws, while Galaxy II suffered their second defeat of the season. 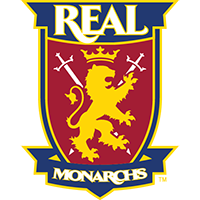 Maikel Chang, Real Monarchs SLC – With two goals and an assist, Chang was a clear standout. The Cuban also created an additional chance and made six tackles in the victory. FENTON, Mo. – The top teams in the Eastern Conference went blow for blow in a 1-1 draw at World Wide Technology Soccer Park. Saint Louis FC started the half the stronger of the two sides, pushing the Rowdies’ defense deeper into their own territory. Midfielder Lewis Hilton was at the center of the action and set up the hosts’ first goal with a perfectly weighted free kick into the center of the penalty area for captain Sam Fink to head home. The goal was the first the Rowdies conceded in their three matches. In the second half, the Rowdies picked up the intensity in stringing together several dangerous moves. In the 71st minute, Fink was whistled for a handball just inside the box resulting in a penalty for the Rowdies. Stepping up to take, Rowdies captain Sebastian Guenzatti placed his spot kick well to level the scoring. STLFC piled on plenty of pressure late but the Rowdies defense answered all questions to see out the match and secure a point on the road. With the result, Tampa Bay stays top the Eastern Conference on goal difference. Lewis Hilton, Saint Louis FC – Hilton’s influence in Saint Louis FC’s build-up was key with the midfielder completing just over 71 percent of his passes while creating five chances.